Common and exotic, glamorous and ferocious, sociable and sullen: zebras mean many things to many people. But one facet of zebras universally fascinates: their stripes. The extraordinary beauty of zebras’ striped coats has ensured their status as one of the world’s most recognizable and popular animals. Zebra print is everywhere in contemporary society—on beanbags and bikinis, car seats and pencil cases. Many zoos house a zebra or two, and they are a common feature of children’s books and films. Zebras have been immortalized in paint by artists, including George Stubbs and Lucian Freud, and they even have a road crossing named after them. But despite their ubiquity, the natural and cultural history of zebras remain a mystery to most. Zebra is the most comprehensive and wide-ranging survey ever published of the natural and cultural history of this cherished animal, exploring its biology and cultural relevance in Africa and beyond. Few know that there are three species of zebra (plains, mountain, and Grévy's), that one of these is currently endangered, or that among the many subspecies was once found the quagga, an animal that once roamed southern Africa in large numbers before dying out in the 1880s. Drawing on a range of examples as dizzying as the zebra’s stripes, this book shows how the zebra’s history engages and intersects with subjects as diverse and rich as eighteenth-century humor, imperialism, and technologies of concealment. Including more than one hundred illustrations, many previously unpublished, Zebra offers a new perspective on this much-loved, much-depicted, but frequently misunderstood animal. "Zebra is neither a book of zoology nor a book on history, though it contains both. 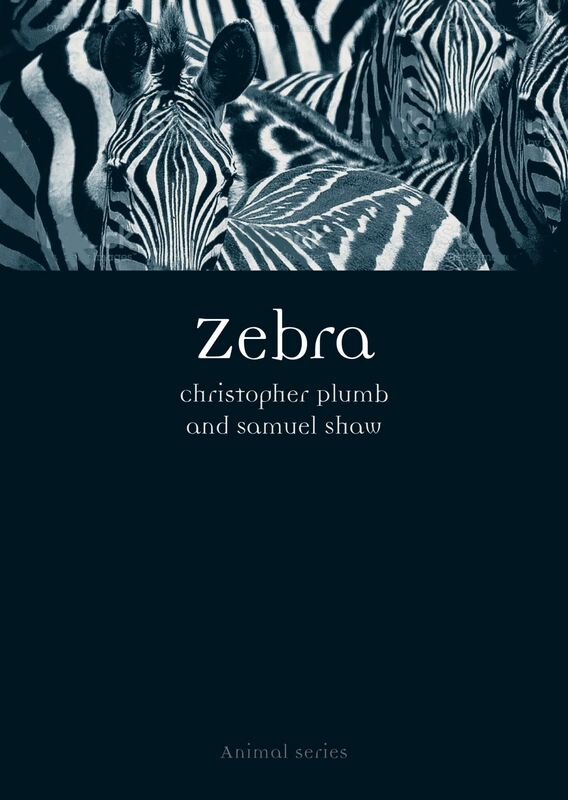 Written by a cultural historian and an art historian, it is a ultimately sociocultural history that covers the human interaction with the zebra as both an animal and an icon. The book is about the zebra, but the focus is on humans: how humans discovered the zebra, how we reacted to it, how we've interpreted it, how we've used it. The volume covers ancient art and modern fashion (zebra striped clothing is, for some reason, more commonly made for women), zebras in art, comics, and diplomacy, and zebras as representations of sociological issues. . . . The pictures are small but of good quality and bright. Recommended." "Everything you ever wanted to know about zebras can be found right here in black and white in this remarkable book. . . . Part of Reaktion Books’ ambitious Animal series, which presents various animals from a natural and cultural history perspective, this exhaustively researched and brilliantly crafted volume is appropriate for college or advanced high school readers. It would be a valuable addition to a classroom library. . . . Profusely illustrated with captivating photographs."